Nursery activities such as dressing up, football and storytime can be coded as either male or female pursuits and limit children’s attitudes to equality, a new study has warned. The University of Wolverhampton worked with the London Early Years Foundation (LEYF) on the research, which involved pre-school children. The research found that at this early stage of their development, children have a unique opportunity to change their minds about what boys and girls can do or be. However, if a balanced approach is not achieved, social norms learned in families, communities and peer groups will influence and reduce their choices, aspirations and social achievements. This then perpetuates the stereotypical gendered roles, with boys potentially rejecting nurturing and caring careers and girls limiting their potential to explore interests in science, technology, engineering and maths, skills and knowledge which may prove essential for the next phase of our quickly changing world. The study found that for the majority of children selected, both male and female teachers share activities such as reading and singing which is a clear improvement from previous research conducted by LEYF in 2012. However, in certain settings male and female teachers are still unconsciously expressing gendered stereotypical behaviours and there needs to be awareness of this to ensure children are seeing a balance. In nurseries where a teacher is ‘good at something’, that person is often left to do that activity, such as gardening. Whilst this is neither right or wrong, children need to see both male and female teachers engaging in all activities – particularly those where there is a perception of an activity being better suited to either girls or boys. The initiative was led by LEYF as part of its aim to provide truly inclusive education and continually examining how to ensure they are aware of the impact of attitudes on behaviour. 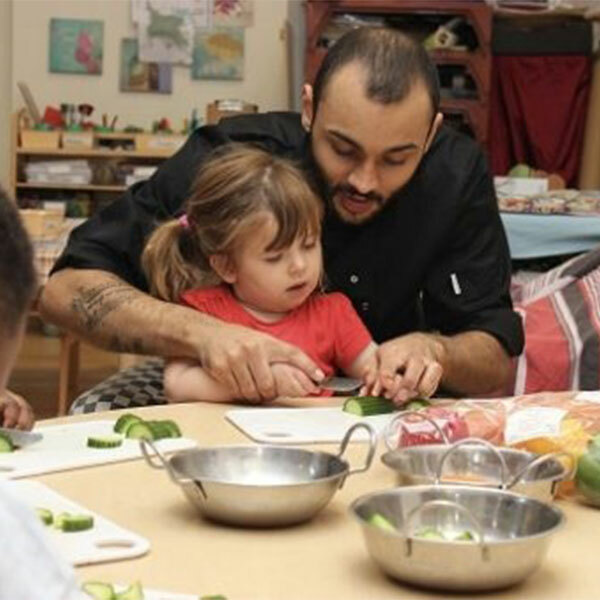 If practitioners are to cultivate gender diversity across the sector, children must see a diverse society reflected in their nurseries, says LEYF, which means a balance of high-quality male and female teachers who are able to be ‘good at’ activities which may initially have been perceived to be gendered. So, ultimately all staff will learn to plait hair, pick up worms, fix broken equipment or crawl under a bush in the garden.